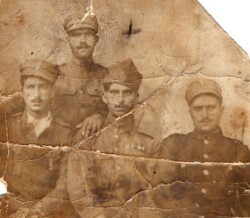 Above: My father, Paraschos, in the army- the soldier with the cross above him. Above Right: My extended famiy. 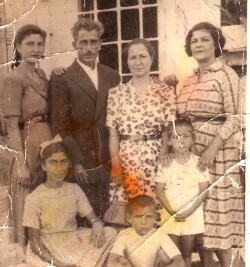 In the top row are: Irini Tzaneti, my mother's brother-in-law, Nikolaos Mamoulis, my mother, Eleni, and her sister, Pelagia. 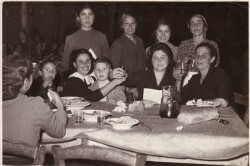 In the bottom row is myself, Paraschos Valavanis and Efstratios Skordobekis. Above: At Sourlanga's fur factory, preparing for a royal visit bt Queen Frederiki. I am first from the left in the top row. 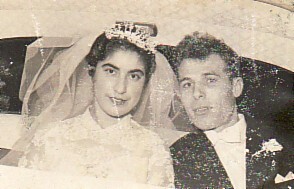 Above Right: With my husband, Georgios Kefalas, on our wedding day. 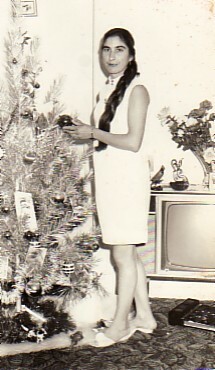 Above: Decorating our family Christmas Tree. 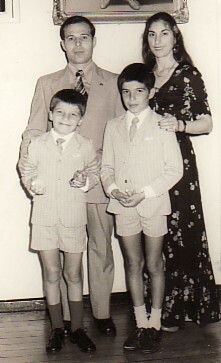 Above Middle: With my husband, Georgios, and our children, Efstratios ("Charlie") and Mario. 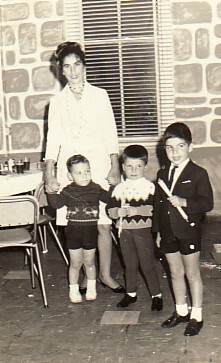 Above Right: With my children, Efstratios ("Charlie") and Mario (on the right) and Giorgos. 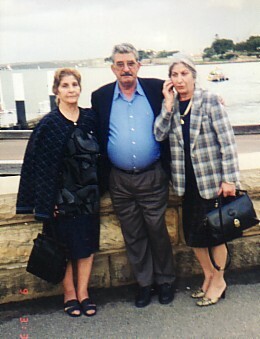 Above: With my siblings, Rinoula and Efstratios. 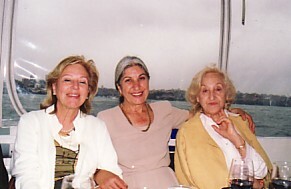 Above Right: With Mika Contelli and Koula Dimitropoulou.